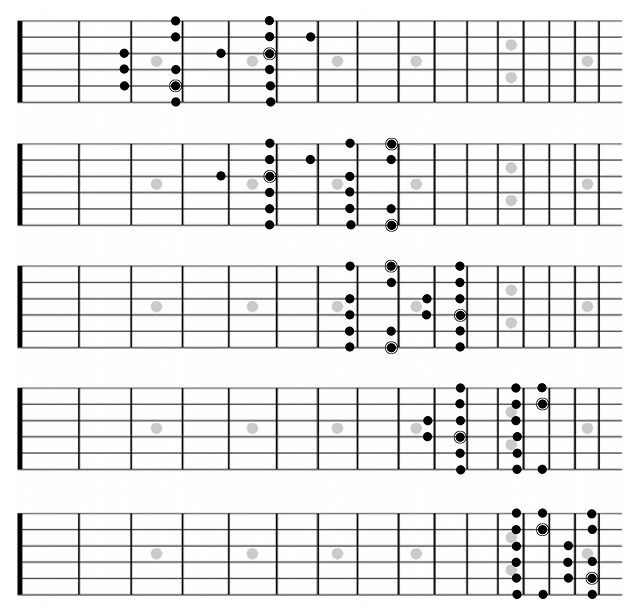 If you haven’t learned the five major scale shapes derived from The CAGED System, you’ll need to get those under your fingers before tackling this exercise. The exercise has you shift through the various positions every few seconds, which will eventually become effortless. Put simply, this first part of the exercise amounts to ascending through one position, descending through the next one up the neck, ascending through the next one, and so on. 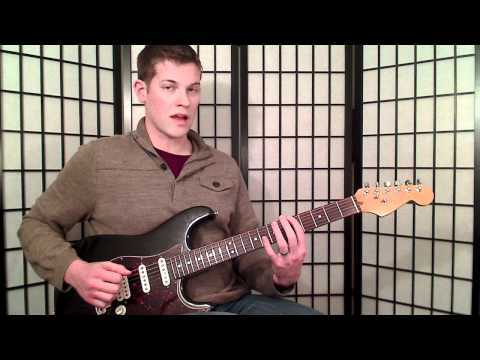 Below is the entire exercise in C major. Click the image for a printable PDF version. 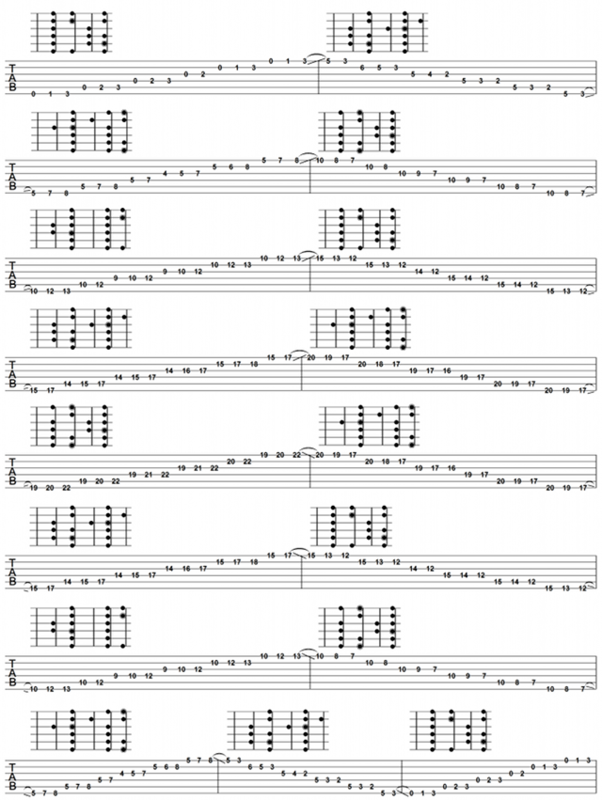 If you don’t have the 22 frets used in this example, just turn around when you reach your fretting limit. And don’t for get to do the whole thing again in all 11 other keys!